Since 1981, Hytec’s mission has been to provide component-level support and solutions to help service organizations save time and money, and remain competitive. 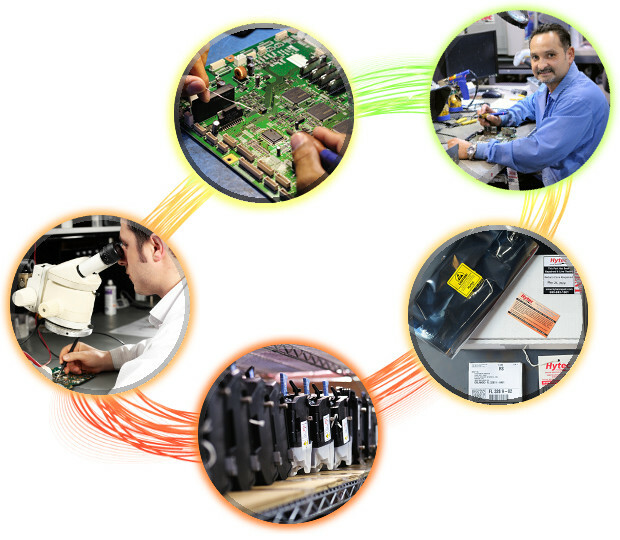 It is more important than ever to look to Hytec to reduce circuit board replacement costs, and help improve first-call effectiveness. Hytec is your partner for a more profitable service department. Hytec specializes in circuit board repair for Canon, EFI Fiery, HP, KonicaMinolta, Kyocera, Lanier, Neopost, OCE, Ricoh, Savin, Sharp, Toshiba & Xerox. 800.883.1001 | 3600 Vineland Road Suite 121 Orlando, FL 32811 | © 2019 Hytec Dealer Services, Inc.